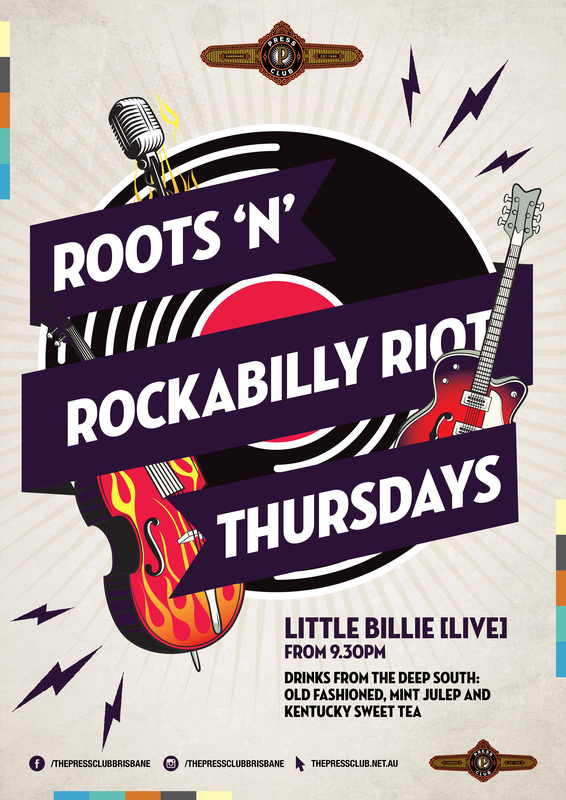 Little Billie is a Brisbane based, high energy blues, roots, and rockabilly band with influences from Ruth Brown, Muddy Waters, Howling Wolf, and Janis Martin. Accompanying their deep south sounds are our three specialty cocktails, Old Fashioned, Mint Julep and Kentucky Sweet Tea. Drop in early and try something from our woodfired pizza or rotissirie chicken menu.